Hi everyone! 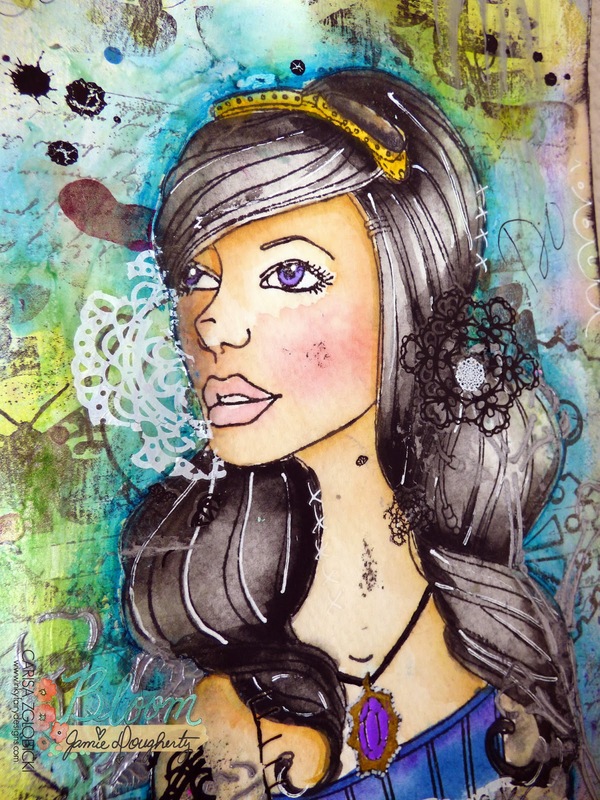 For Watercolor Wednesday this week, I want to share my first Bloom Girl post. I had a little fun in my art journal and even though this is mixed media, I actually watercolored Emily so I though it would be perfect to share today! 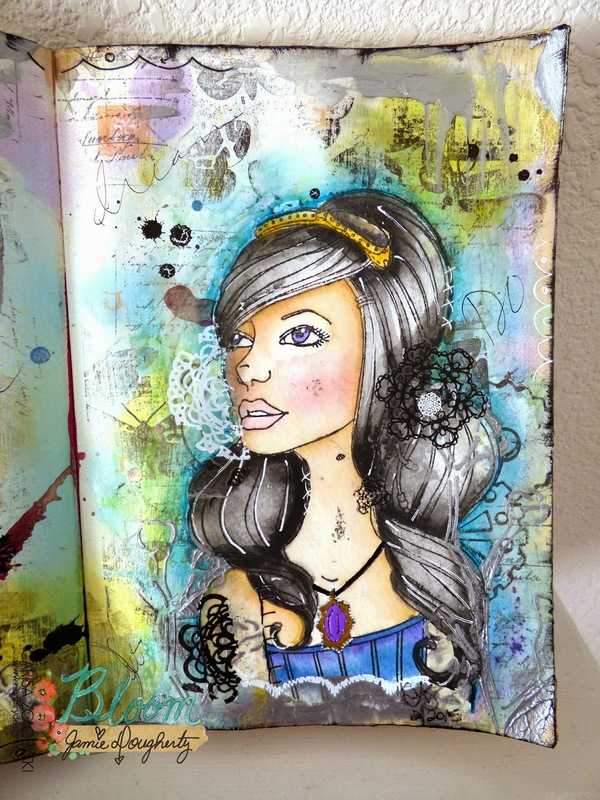 I used the Emily stamp and Sweet Pea stencil to create a page in my art journal. I also filmed a video for you to share my process and how it all comes together. I hope you will take a few moments out of your day to watch and be inspired to experiment and let go...because that's exactly what I had to do for this page to come together! This page really started because of this quote. 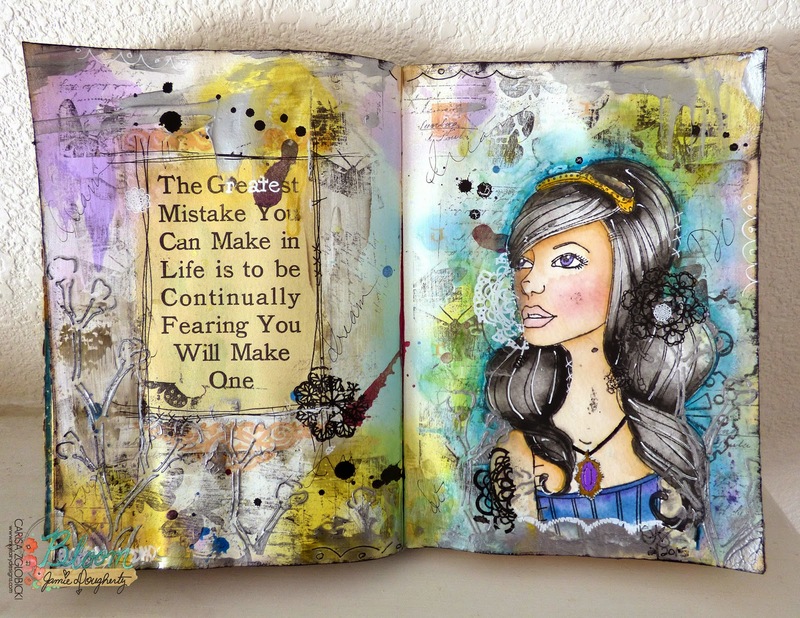 I picked up this book at a thrift store and I have been using it as my art journal. I love the quotes that are sprinkled throughout - some make me laugh (this book was published I believe in the early 1900's) and others really resonate with me like this one. I am so honored to be a part of Jamie's Bloom Girl DT but for some reason, I always freak out when I sit down to work on a project for a blog post - that's why this quote was PERFECT!! The biggest mistake I make in art is not even starting! 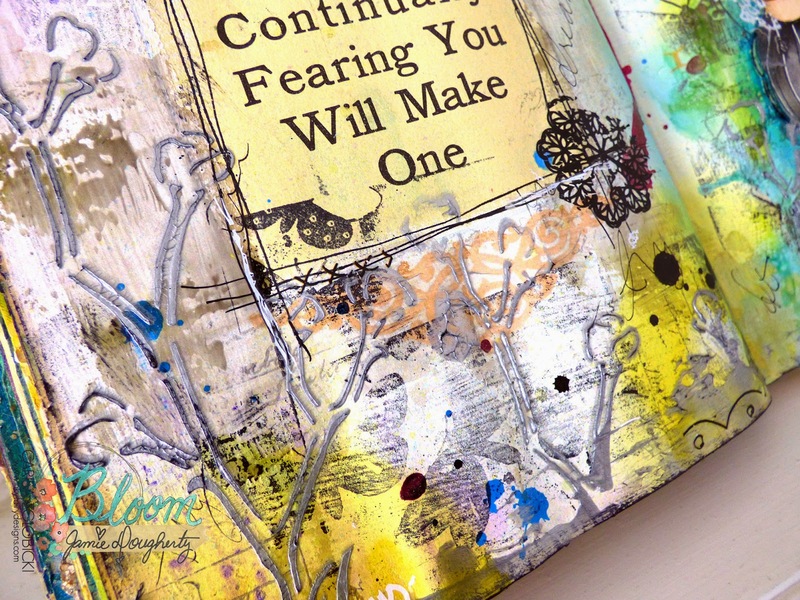 I really love the texture that the Sweet Pea stencil added along the bottom of my page. You can really see how pretty it looks here with some metallic texture medium. All in all, I am in LOVE with how this page turned out. I learned a lot not only about what art supplies I need but also about myself. 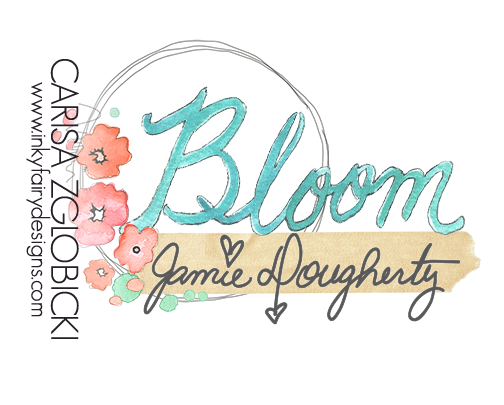 I absolutely love the Bloom Collection by Jamie Dougherty and it makes me happy that I can create beautiful pages in my art journal like this since I can't draw to save my life. haha How blessed are we to have gorgeous stamps available like this to create with?! I hope you enjoyed my post today and are inspired to pull out your Bloom Collection stamps and let go of any fear that might be holding you back from making something beautiful! 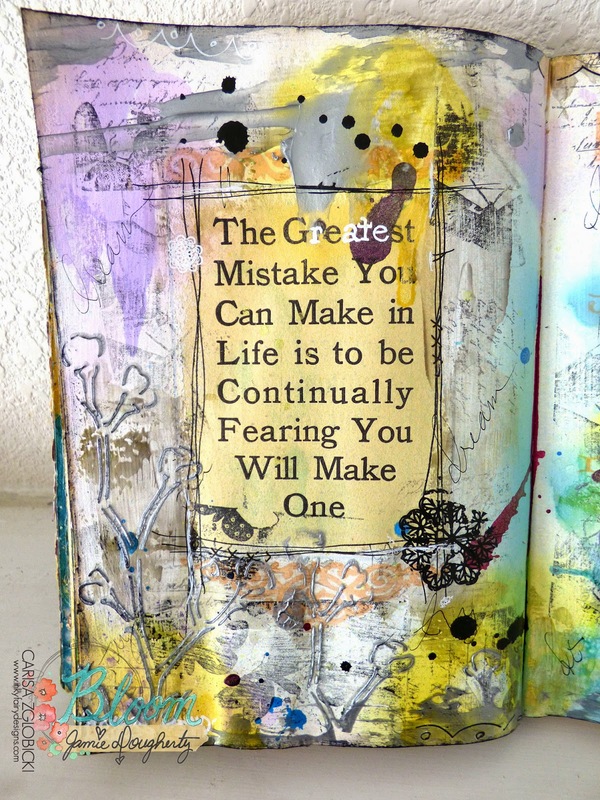 You never know, that mistake (like mine) just might be the start of something amazing. This turned out really nice Carisa! I really like it! I loved watching your process. Your narration was great. I love it when an artist shows their "mistakes" and how they transformed them! Great job!